This one is a striaght forward tall thin mast, but some of the others will be more sinister in shape, taking cues from old Soviet forms and the Brain Scorcher. I've tried to keep the metal structure rusty and worn, and also added a few metal "plates" and grills at various heights to break up the form and add variety. 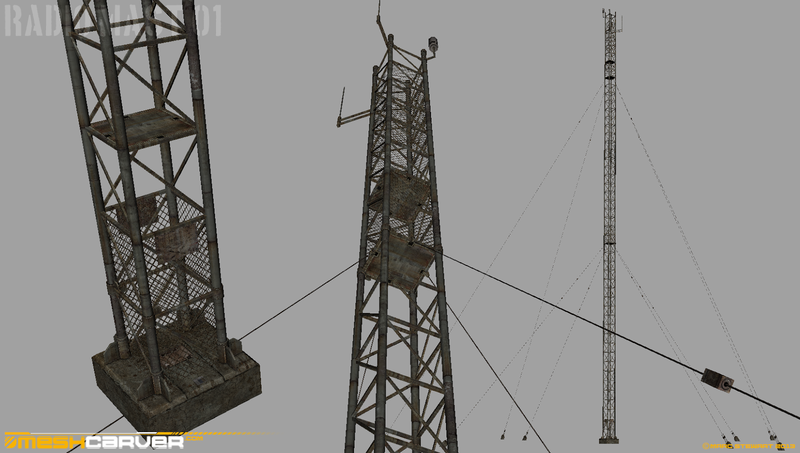 For me, little touches like radio masts and old disused radars dotted around really put a location into the Stalker mindset.